Since we are pretty good with DIYs, we would now start sharing to you some of our pretty creations that you too could try doing. 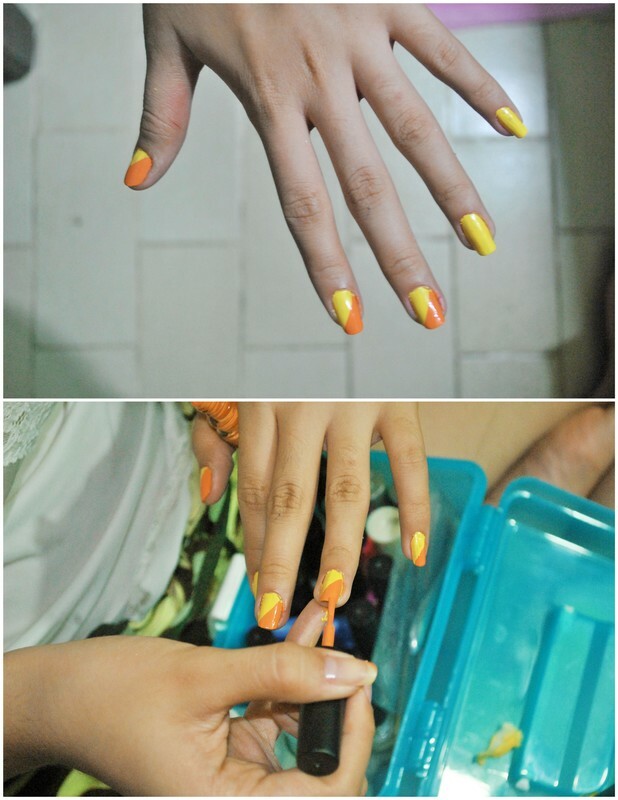 If you have the creativity and skills, why spend too much moolah when you can simply do it yourself? 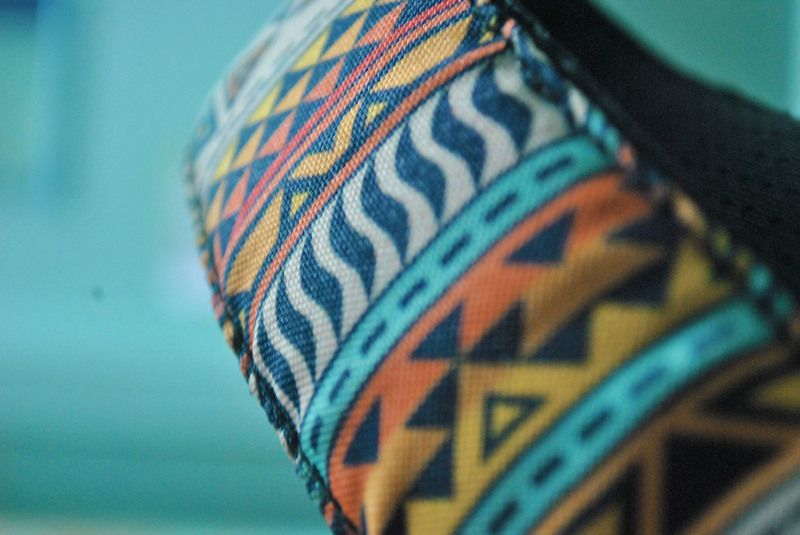 We were inspired by the print on our camera strap. 1. 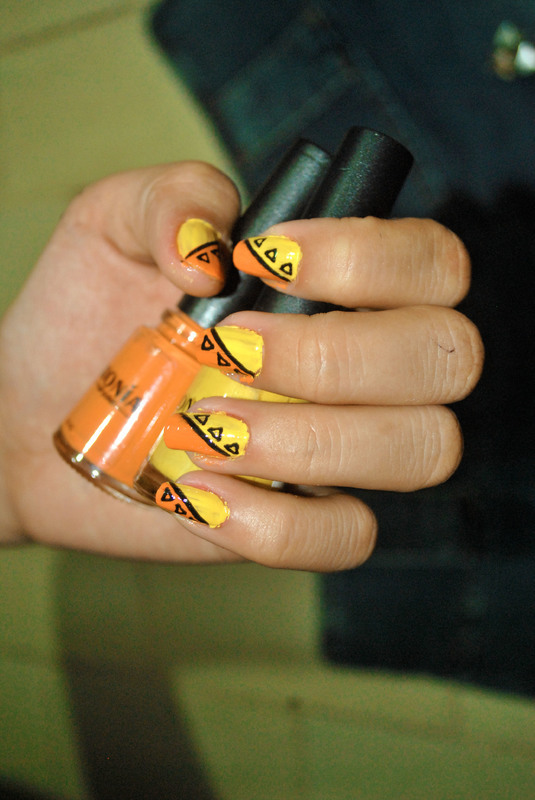 Use the yellow nail polish as the base coat and apply the orange one diagonally as seen in the photo. 2. 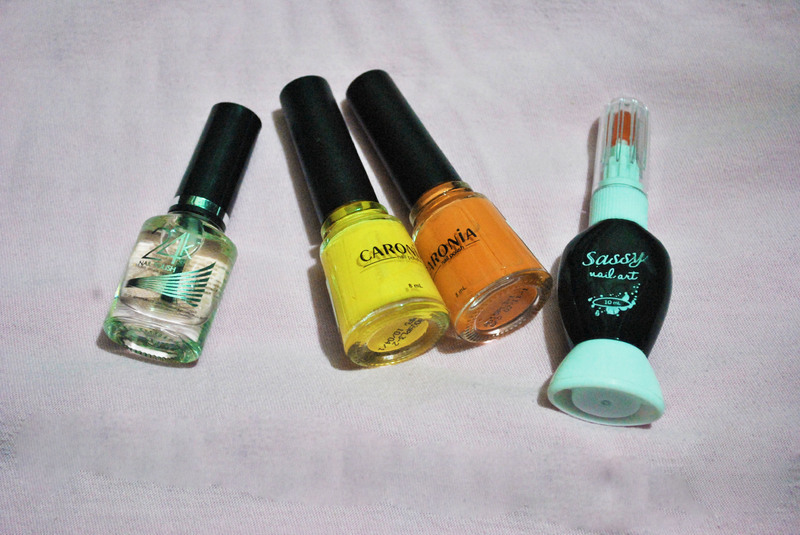 Using the thin brush of the Sassy Nail Art polish, apply a thin line dividing the two colors. 3. 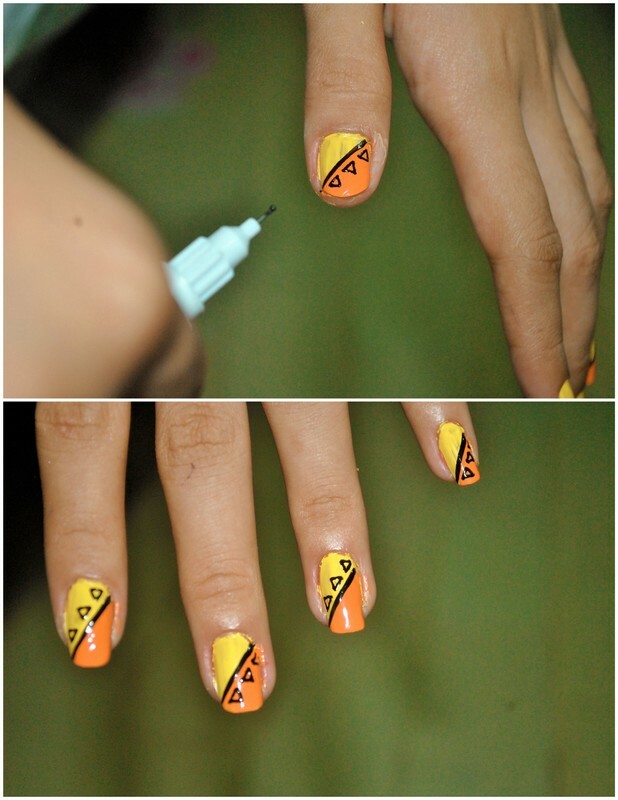 Next, make little triangles with the needle tip of the Sassy Nail Art polish to complete the Aztec vibe of your nail art. 4. 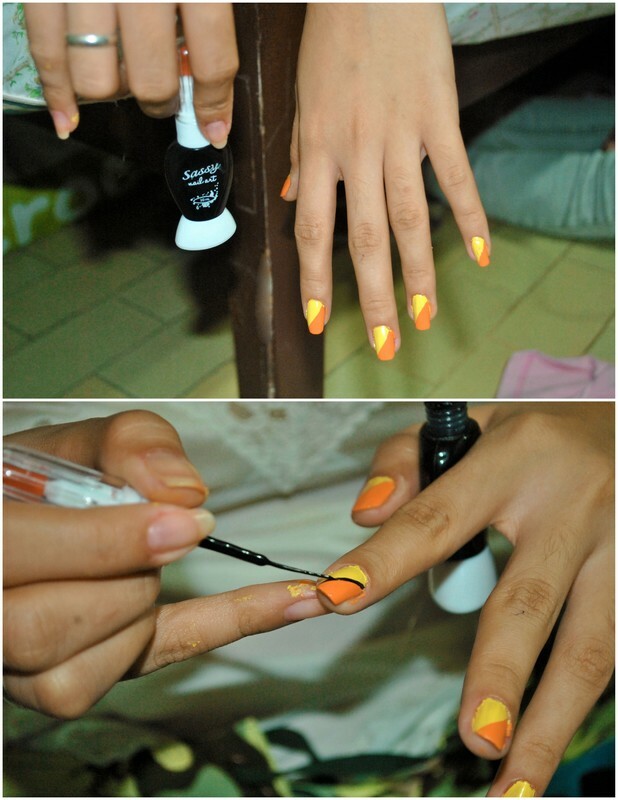 Let the nail paint dry first for about 5 minutes then apply the colorless nail polish as the final coat. … And that’s it! 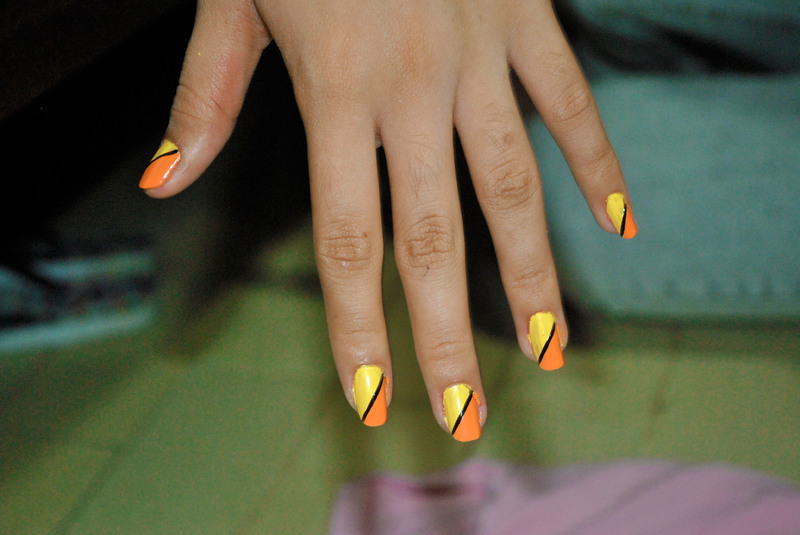 You now have your pretty Aztec-inspired nail art! Now flaunt it honey!